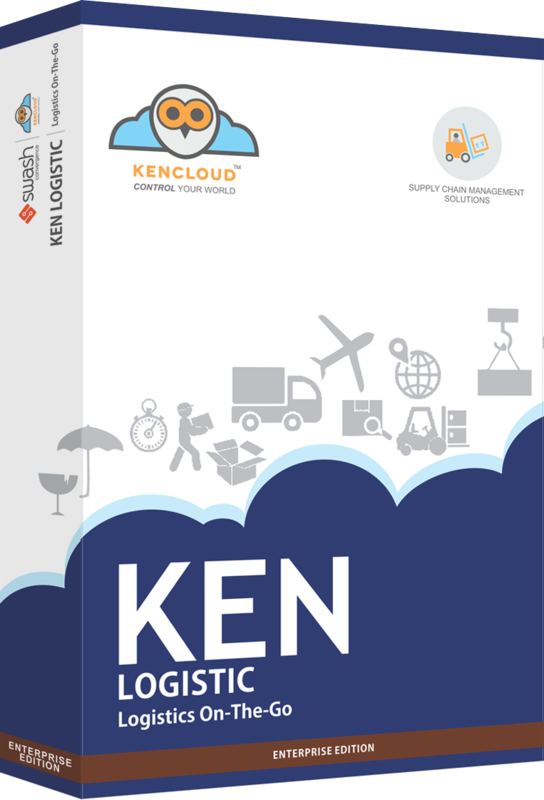 Swash provides most advanced cloud based Logistics & Distribution solution KENLogistics™ which can help companies to achieve and maintain a competitive verge by empowering them to enhance and streamline their most important supply chain management from start to finish. With logistics management in place, business organizations can maximize their cost-efficiency, increase productivity, and give their bottom line a big boost. Our cloud based logistics & distribution solution is far more beneficial than the normal ERP solutions. By using our cloud based logistics solutions companies can save a huge amount of money they usually spend on infrastructure and manpower. This also helps you save time and gives you the mobility as you can access the service on your mobile phone, laptop and desktop. So, whenever you want information you can get it instantly without wasting any time. KENLogistics™ integrates all aspects of the enterprise, manage both external and internal resources and help efficient information flow between all business functions as against the software packages specially used for single functions such as planning or purchasing. An ERP system is a blend of modules that integrate processes, information and people and systematically allows companies to gain better control of their operational and administrative environment. Freight management feature helps manage various functions such as order processing, shipping, managing delivery and managing transport rate controlling cost, sustaining warehouse inventory levels and maintaining accurate records. It can help companies in making future shipping decisions as they will be able to track trends, inventory levels, and previous time and cost to ship cargo. Compare transport rates of different companies and choose the one that is suitable to you. You can also manage transport rates for different locations and products. Speed up the execution of the complete order-to-delivery cycle. More productively generate and track sales orders. Enter or change shipping information, assign demand lines to shipping IDs and set the demand lines to the shipped state. View and manage the pick and pack process easily. Gather the requested items from different master cartons (Pick) and afterward label and package the order for shipment (Pack). This feature helps you automate, improve and streamline the entire delivery process. FCL/LCL Consolidation feature helps you view and manage full cargo loading and less cargo loading process altogether. Transportation Management feature helps in managing payment and processing of loss and damage claims, transportation mode selection, freight bill auditing, and outbound & inbound shipment scheduling and shipping units. It facilitates enhancing fleet management and utilization as well as reduces fuel consumption. Drivers can use their mobile or PDAs to report back the timestamp and name of PODs or report back status codes for job alerts. Manage all the details of vehicle hiring from the market to transport inbound and outbound goods. Easily manage and view vehicle information, pickup date, pickup time, pickup destination as well as delivery destination. Keep track of complete cargo loading and unloading process to make your supply chain management process easier. Track individual vehicles, a group or an entire fleet. Monitor vehicle performance and remotely manage facility supports on demand requests and status changes. Primarily, the purpose of a warehouse management system is to regulate storage and movement of materials in a warehouse. This feature supports centralized controlling of tasks for instance tracking stock locations and inventory levels. It also allows a link to the ordering processes and logistics facilitating ordering, picking, packing and shipping the product out of the warehouse. Provides warehouse information about each item before the system can process items. For instance, you can classify items by the amount of demand for the items or by their size. Allows storage, evaluation and maintenance of master and transaction data referring to yard objects, for instance yard docks, yard bins, vehicles, transportation units and so on. View and manage different items in the warehouse. The application picks the first warehouse based on the warehouse code if there are several warehouses. Easily manage and forecast resource allocation to best use your warehouse space. Effectively track and manage container cargo/customer details, create and change container records. Based on the difference between weigh-in and weigh-out operation the purpose of this process is material accounting. You can check and record the weight of the material loaded on the vehicle. Manage all your cargo processes from booking to delivery. Check and monitor each cargo as per voyage instruction, which requires some basic check items. Accounting is made easy with the inventory tracking system, especially for delivery drivers, mobile workers and outside sales representatives. Fleet Management System ensures uncomplicated workflow. It displays much information about the vehicle such as current position of the vehicle, fuel consumption, fuel level, vehicle speed, clutch switch, brake switch and weight. It gives you the tool you need to effectively confirm that transport is handled efficiently and that there is no waste of time. View and manage load receipt, consignment number and generate carrier way bill with this feature. View and manage your asset details in a more convenient way. Keep up to date with everything from vehicle hiring, maintenance all in just one click. This feature allows you to view and manage the workshop status and availability of tools. Prepare and manage your vehicles’ preventive maintenance schedule. Helps you perform repair estimation and carry out work order execution of your fleet. Easily carry out the fuel and tyre management of your fleet. Monitor fuel consumption and tyre replacement of your vehicles. Helps you keep track of number of accidents and traffic violations your drivers make. Contact us today and learn how KENLogistics™ can help you increase shipment visibility and corporate profit, improve productivity levels and reduce operating costs. KENLogistics™ is designed to fully automate and support supply chain processes. 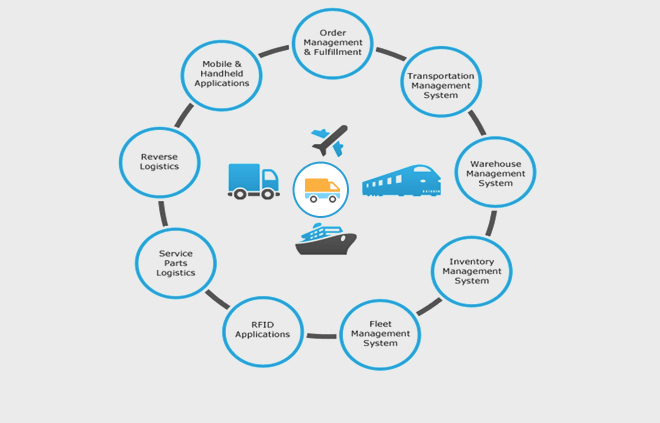 Here are some of the key advantages of this advanced Logistics & Distribution solution. With our cloud based logistics & distribution solution, companies can significantly improve the way they track and manage their supplies of components and raw materials and required for production, finished products to satisfy open sales orders, and spare parts required for field service and support. This eliminates excess of waste, frees up valuable space for other important purposes, and minimizes related storage costs. By helping companies to more productively generate and track sales orders, KENLogistics™ can dramatically accelerate the execution of the entire order-to-delivery cycle. In order to more successfully meet demand, as well as more quick creation of pricing and product configurations it also enables the active arrangement of supplier deliveries. With our robust cloud based logistics software, all tasks and activities associated with sourcing, purchasing, and payables can be streamlined and fully automated across a company’s complete supplier network. As a result, businesses can improve negotiations to control bulk or volume discounts and other cost-cutting measures, build stronger relationships with vendors, better assess and manage their performance. As companies develop internationally, their supply chains become increasingly intricate. This makes the coordination of the several transportation channels and warehouses involved quite a challenging endeavor without logistics and distribution software in place. With logistics management, businesses can boost customer satisfaction and enhance on-time delivery performance by achieving complete visibility into how finished products are warehoused and circulated, irrespective of the number of partners or facilities that participate. With logistics & distribution management, organizations can more precisely expect customer demand and plan their production and procurement processes accordingly. As a result, they can slash prices to move products from warehouse shelves and avoid unnecessary purchases of raw-materials, prevent the need to store excess finished goods and eliminate manufacturing over-runs. KENLogistics™ can simplify and accelerate the inspection and handling of broKEN or defective goods – on both the sell and buy side of the business – and automate the processing of claims with insurance companies along with suppliers and distributors.